Wehrheim, Germany the 15th December 2016. Despite the massive modernization we had made in 2014 at the Onlineshop as well as the website, we wanted to integrate certain functions in the shop in order to offer our customers even more service. The shop includes for example the following functions: Package tracking, digital download of software and the improved display on mobile devices. In addition, you can be sure that you are now using an modern online shop with the latest web standards in all important aspects such as security, browser compatibility and usebility. Wehrheim, Germany the 16th April 2016. We are happy to announce a update for our logic game Alinearis 2. In this game your goal is to remove all the balls from a level. Now the newest version gives you the possibility to share your high scores online via AmiBoing from Entwickler-X. The update is available for all registered users in our support center. 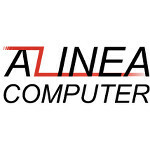 The download version of Alinearis 2 is available at Amistore for 6 Euro. Additional a CD version can be ordered for 9.95 Euro at our online shop. Wehrheim, Germany the 02nd April 2016. 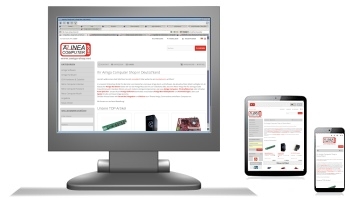 In the last years our own Amiga online shop becomes a success story. That gives us the possibility for a new distribution option for Amiga software. Until now Amiga software developers had only two options: Self distribution or distribution through a qualified distribution partner. Mostly the self distribution was preferred because the software developers have a higher profit margin and directly contact to the customer. Unfortunately many projects failed because the production costs are to high. That's the point we want to change. In the last few month we already helped out at some projects. Sometimes we paid the production costs and sometimes we preordered several units to reach the minimum quantity for production. Depending on the project and customer preference we have different possibility to help out. We will adjust it to the project to get the best possible effect for the new Amiga software. Wehrheim, Germany the 03rd July 2014. 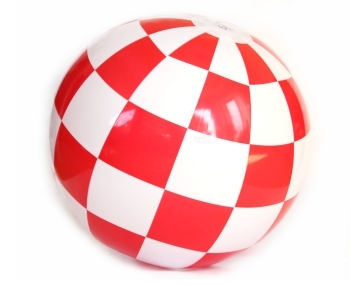 We are proud as a licensed distributor to offer you the new exclusive AmigaOS beach-boingball. The AmigaOS beach-boingball is now available at our online shop. If you are interested as a dealer please contact us at here. We are looking forward to your order!